Does your boss know what you’re getting up to at work? We recently surveyed 1,997 Britons about privacy in the workplace and found that many people have no idea about what employers are legally allowed to do to when it comes to monitoring employees, or how behaviour outside of work could impact their job. By law, companies are permitted to monitor their workers. This can include CCTV, vehicle tracking, reading emails and recording phone calls. 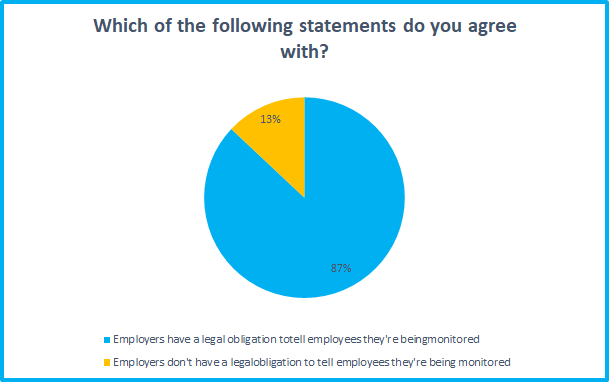 However, respondents to our survey had mixed views about the legal limits. While a majority said they thought CCTV and recording phone and web site records were permitted, a smaller number identified activities such as recording phone calls or information gathered by Point of Sale terminals as being legal. Specialist employment lawyer Karin Henson at Lexoo also notes that informing employees about monitoring would be necessary “if the employer would like to rely on the monitoring [during disciplinary hearings]”. 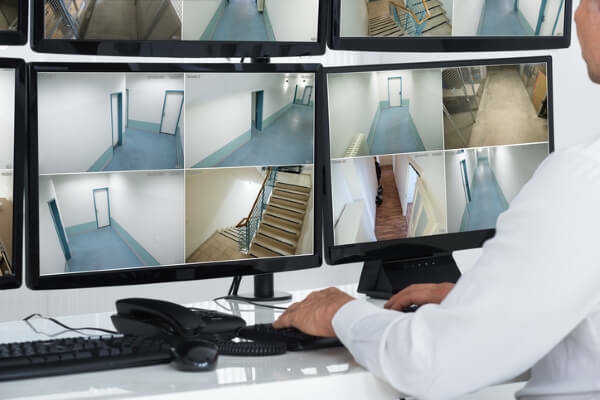 While the law does give employers a lot of leeway when it comes to monitoring, many people are not happy with the idea that their company might record so much data. Though it’s very strange to see that 29% are apparently fine with their employers recording personal phone calls! Employers considering taking these steps should pause to think about whether the possible hit to morale is really worth it. As part of the survey we asked respondents how comfortable they would be with various organisations monitoring their web browser activity, generating an overall “trust score” for each. Employers were second from bottom, below the police, intelligence agencies and even their own friends.